Todays world is all about efficiency, this includes getting into your dorm room. 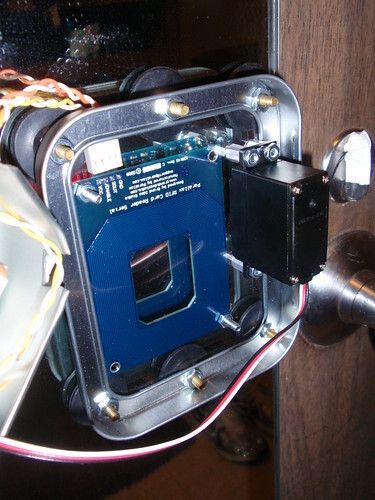 Inspired by other door unlocking projects found around the Internet, especially the MIT one that is practically famous, I decided it was time to outfit my own door with an RFID unlocker. Our dorms offer the unique benefit of having full length mirrors on the doors so I figured that suction cups would be the best way to go as they were easy to apply, remove and are non marking. Being that I already had a Basic Stamp, Parallax's RFID reader seemed to be the obvious choice as it was the cheapest reader I could find and already had example code written for it. After some of the parts came in I set up a quick prototype to make sure the servo was even strong enough to flip the latch and that I could read the tag through the door. To attach the servo horn to the latch I tied a piece of string to the horn and taped it to the top of the latch, this is how it done in the final version as well. The reason for using string is so that you could still easily unlock the door with the key, it would just put slack in the string. The only fault with this method is that you cannot use the RFID tag to lock the door. I quickly realized that I had given no thought as to how I was going to mount all the electronics. As a result the servo remained like that on my door for weeks. As I was cleaning my desk one day I found this box and instantly realized that it was perfect for the door unlocker. Another quick mockup in Invetor to see if everything fit, and it did perectly.. Ordered some 6-32 screws and nuts from McMaster and started assembly. The servo fits perfectly height wise, it sits against the bottom of the base when closed. Now that I had the servo and RFID reader mounted I needed to get some holes drilled for the suction cups and basic stamp. Due to my procrastination studying the project sat on my desk for a week. I used paper under the basic stamp to insulate it from the metal box. The assembly did not go without problems, however. The first major problem was when I went to reassemble the box after I put on the suction cups. I didn't take into consideration that the nuts would get in the way of the box closing. As you can see in the pictures I had to snip spaces in the box where the nuts were so the box would be able to close all the way. The second major problem was a weird one. 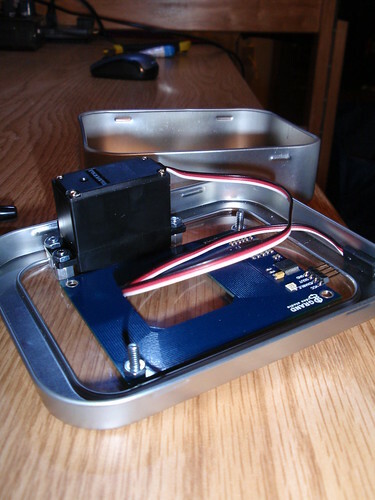 The RFID reader was originally going to be mounted on the inside of the box. This box was perfect because the front was plastic and didn't interfere with the reader. The problem was, when I closed everything up in the box the range of the reader was almost cut in half and I couldn't read the tag through the door. However, if I pulled the box apart (like it is being shown in the above pictures) the tag could be read through the door. My best guess is electrical noise is causing this but I honestly did not want to spend any longer on this project, and there seemed little alternatives. I ended up just mounting the reader on the outside of the box. It does not really make any difference other then looks.Here is how it looks when it is all up and running. 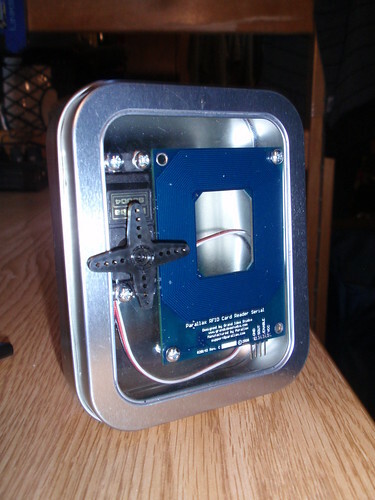 While still learning about rdif tags and readers, I do not know of any that are mounted inside of a metal enclosure; mostly plastic and marine plywood. Probably relates to signal reflection or a closed loop around the antenee more than electrical interference from varible frequency. Nice locking device, but wary of the range. That being said, nice project! "My question is how effective are the suction cups?" The suction cups are actually pretty effective. I too was worried about them staying on there that's why I put six of them. I wet them and cleaned the mirror before I put them on and every few days or so I push on the box to make sure that they are still stuck on there. what is the pinouts of the connections? the silvering on the mirror probably effected its range also. Is that Calhoun or Siddall? Can you say "Faraday Cage?" "Is that Calhoun or Siddall?" Siddall, aren't you in my ECE class? I'm in Digital Systems Design this quarter (15ECEE175, I think) but I'm over in Calhoun. 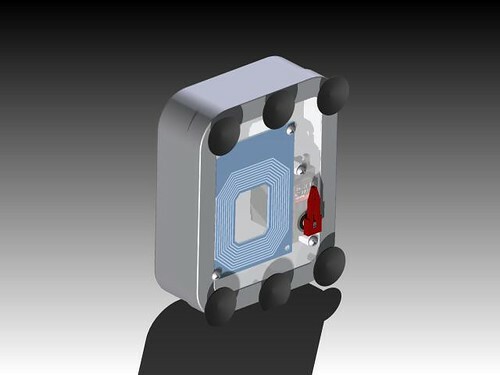 You can get the ID Innovations ID-12 or ID-20 for less than the paralax RFID reader. They also have a TTL serial output. The pins aren't 100mil pitch so look at the breakout board too. You need something more permanent and "cool" on the outside instead of a tiny piece of masking tape. 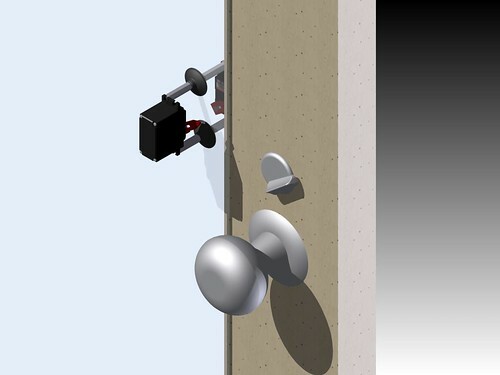 Couldn't the actuator to the lock mechanism be 'stiff' and then be utilized to both lock and unlock the door? "Couldn't the actuator to the lock mechanism be 'stiff' and then be utilized to both lock and unlock the door"
Max, must you always be such a BAMF? what servo motor did you use? Which particular servo did you use? In order to use the antenna inside the box (with one side open of course) you will need to re-tune it, because the metal is acting somewhat like a slug to an inductor, and it's changing the inductance that the rest of the antenna circuit is built for. There may also be some near-field effects, but tuning is probably the issue. Although it doesn't look like your antenna is readily tunable. Don't feel bad: half of the people who design RFID OEMs haven't figured out how to build good antennas, either. Cute its really very cute, and i think its a very unique and interesting fashion also, ladies can enjoy this fashion, i like it much. I will make sure to be reading your blog more. You made a good point but I can't help but wonder, what about the other side? THANKS! Mostly the task of unlocking a door isn't a hard task but sometimes when your locks need repair it can turn into a nightmare. 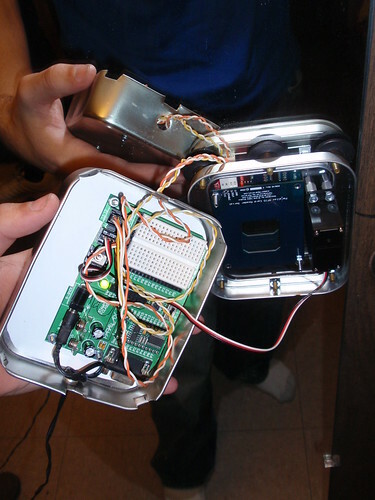 You can easily piece together an RFID lock which unlocks with a wireless key and can lock itself automatically. 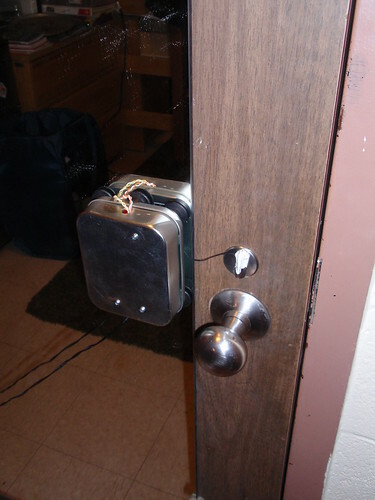 Locksmith Fort Lauderdale provides advanced and secure locking systems for your home. To repair or open the locks you need tips, tricks and tools for this. This can't be done by own if you don't have such things with you. Locksmith are those persons who have all those things with them and they have experience of unlocking and repairing the door locks. Does Ufone Have 3G Coverage In khanpur? Does Ufone Have 3G Coverage In khanewal? Does Ufone Have 3G Coverage In kasur? Does Ufone Have 3G Coverage In kharachi? 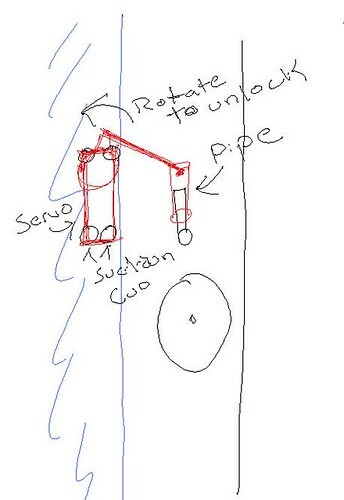 Very nice blog to show how to create a automatic door system. Thanks author for sharing the post. Keep doing good works.